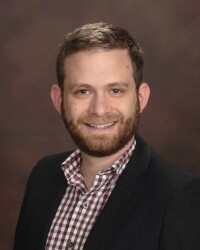 Gregory grew up in Southern California and as an undergraduate attended the University of California at San Diego where he studied Psychology and Cognitive Science. After graduating, he worked for a time as a student affairs program coordinator, working with student groups to put on social and educational events as well as providing support to students who were having difficulty with the transition to college. Gregory then decided that his passions were more in the counseling and therapy realm, and so he moved to Indiana for graduate school. He attended the University of Indianapolis, where he received his master’s and doctorate degrees in Clinical Psychology. While at the University of Indianapolis, Gregory spent much of his training working with traditional and non-traditional students at several Midwest universities, including Purdue University, Indiana State University, and the University of Indianapolis. For his dissertation, Gregory looked at the effect of physical affection matching on relationship satisfaction in college-aged couples. Gregory enjoys providing therapy for young adults, adults and couples. His clinical interests include relational issues, couples and marital therapy, depression/anxiety concerns, men’s issues, identity issues, stress management, and the integration of mindfulness practices for anxiety reduction. Gregory also enjoys stepping out of the office and providing outreach or consultation to large groups through workshops and presentations. Gregory and his wife recently moved to West Michigan. He enjoys traveling, technology, spending time with his family and friends, and building computers or other electronic devices.